Today’s interview subject is with an extremely nice and talented cat. He is a guy who I will admit, I didn’t know I was following and enjoying for many years. A character actor to the core, he has literally shown up multiple times in completely different characters that I had no idea they were all the same person! He is also a brilliant writer, which is how I came across the man that is Joey Sagal himself. Last year I managed to check out a little flick called Elvis & Nixon, which was even more intriguing than you are already probably thinking. It was such damn fine flick. And of course, this is set me off the search for the creators of just a fine product, and get them up here on the site! And through my research, I discovered that he did the spot on George Clooney impersonation in Not Another Celebrity Movie, the highlight of the film if you ask me. And even more important to me, he was the bad guy in the 1989 comedy horror film The Return of Swamp Thing, which was directed by our old “friend” Jim Wynorski (“friend” because he kind of hated us, check out that interview). Seeing his list of credits simply solidified the fact that I needed to have Joey on the site, and would be absolutely honored to have him. So here it is folks! Please enjoy some amazing words from a brilliant writer and performer, the great Joey Sagal! I know you grew up around the world of film and television, so there was probably some influence there. But, what do you believe it was that drew YOU to the world of acting? What made you want to journey into this world? What were some of your own personal influences? I enrolled in an acting class at Lee Strasberg in Hollywood. They taught me a technique of how to use my talent to be real and honest, how to show off my talent in the best way, to do the kind of acting I loved watching and wanted to do. I was hooked. 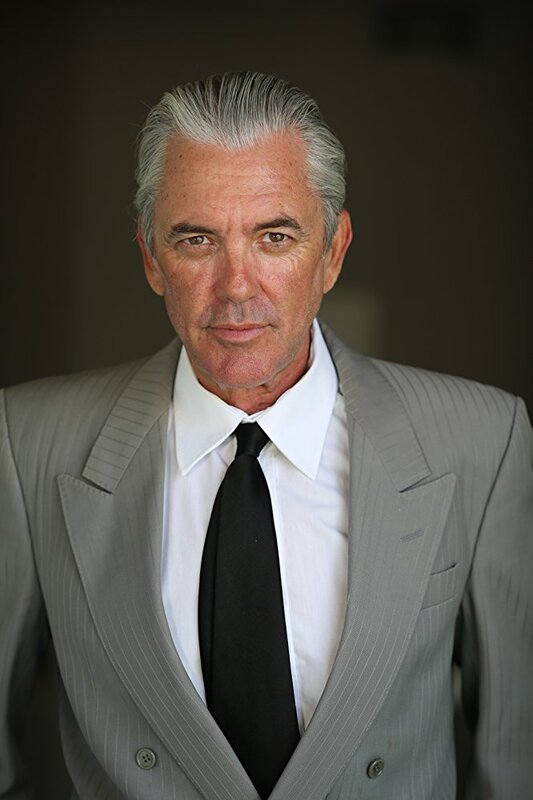 You appeared in the brilliant 2016 film Elvis & Nixon, which you also executive produced and co-wrote with Hanala Sagal and Cary Elwes, which was absolutely brilliant. So what was your inspiration in bringing this film to life? How did you come about bringing this story to life? I got the idea for Elvis & Nixon to an independent film producer. He green lit it and wanted me to play Elvis and write it as a low budget film. When I sat down to write the movie, I felt nobody would be able to relate to Elvis at this point in his life…he was in his bizzaro period. Elvis had taken the trip to meet Nixon with a friend, Jerry Schilling. Jerry was a real normal guy who everyone could relate to. So, I thought it would be fun to go on a ride with Elvis, through Jerry’s eyes. Jerry would be the Nick Carraway/everyman and Elvis would be Gatsby. After I wrote the first draft, the producer decided it should be a bigger movie with big stars, so I ended up playing a smaller part, the Elvis impersonator and being Executive Producer/Co-writer. Your performances as Elvis is a bit revolutionary in comparison to those who have done it before you. I really dug it. So what was your process like to create your own Elvis? What do you feel you did differently than others have in the past? What kind of research was involved? I played Elvis in a play Steve Martin wrote called Picasso at the Lapin Agile, it was the original Steppenwolf Theatre Production that played at the Geffen Playhouse in Los Angeles, it was a fantastic production with the young Tracy Letts in it also, it was a hit, I was playing Elvis on stage 8 shows a week for 10 months in a very funny cool part, it took me about 100 performances before I really got the voice, but because we ran so long I was able to really work on my Elvis, I ended up doing over 350 performances of that play. I went on to play Elvis in some movies, a Stephen King mini-series, and of course Elvis & Nixon. I also got to meet Elvis, when I was 7, because my dad was a director and directed Elvis in the movie Girl Happy. Elvis has been very good to my family. 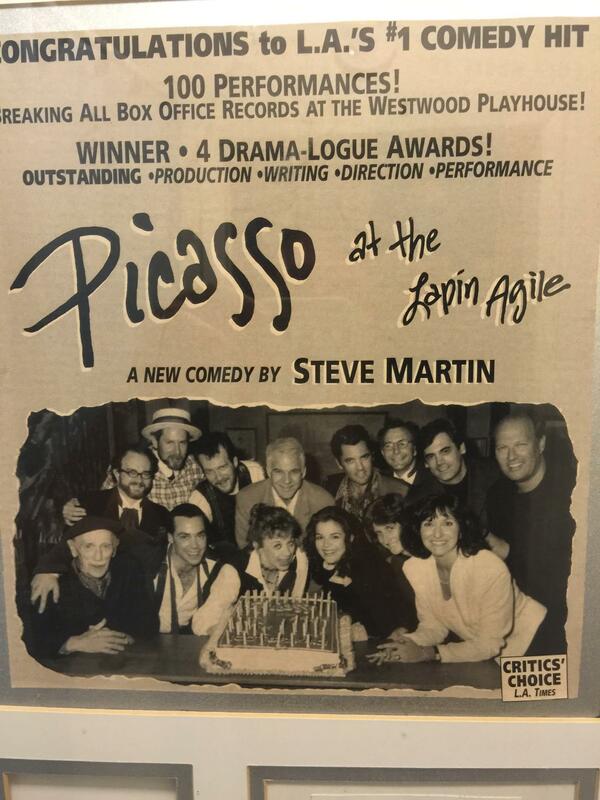 This photo was taken in 1995, the 100th performance of Steve Martins play Picasso at the Lapin Agile the Los Angeles debut of Chicago’s great Steppenwolf Theatre Company, Steve Martins first and only play and the first time I played Elvis, Steve had cast me himself. I’m on Steve’s left to Steve’s right is Tracy Letts author of August Osage County which he won the Pulitzer and the Tony, Tracy and I shared the stage and a dressing room for 10 months during this run of 333 performances. Ten years after this photo was taken Tracy wrote a movie starring Michael Shannon called Bug, twenty years after this photo was taken I would co-write Elvis & Nixon starring Michael Shannon, Tracy is also in Elvis & Nixon, wild wacky stuff? This was also the last time this theatre would be called the Westwood Playhouse during our run the name was changed to The Geffen Playhouse after David Geffen gave them a lot of money.In 1989, you appeared in one of my favorite films as a child, The Return of Swamp Thing, directed by our past interview subject Jim Wynorski. What was it like working on a film as strange as this one? In comparison to the more serious work you have done, what was it like to work on a horror/comedy of sorts? I loved working on Return of Swamp Thing we shot in Savanna, Georgia a beautiful city. It was like going to summer camp. I got to play the bad guy, sooooo fun. When you look back on your career spanning over 30 years, what would you say you are most proud of? What would you like the world to remember you most for in 100 years? 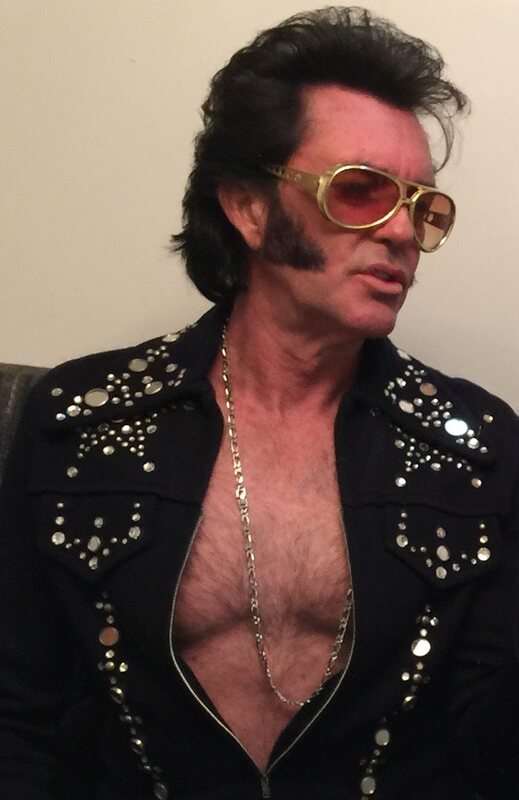 As and actor I am most proud of my work as Elvis, it’s my ace in the hole role. Although I have played George Clooney in a movie that was a spoof of Oceans 11, that was fun too. Writing my next movie, I have a great idea for a film also for a Broadway musical if any producers are interested out there..
My girlfriend and my dog.